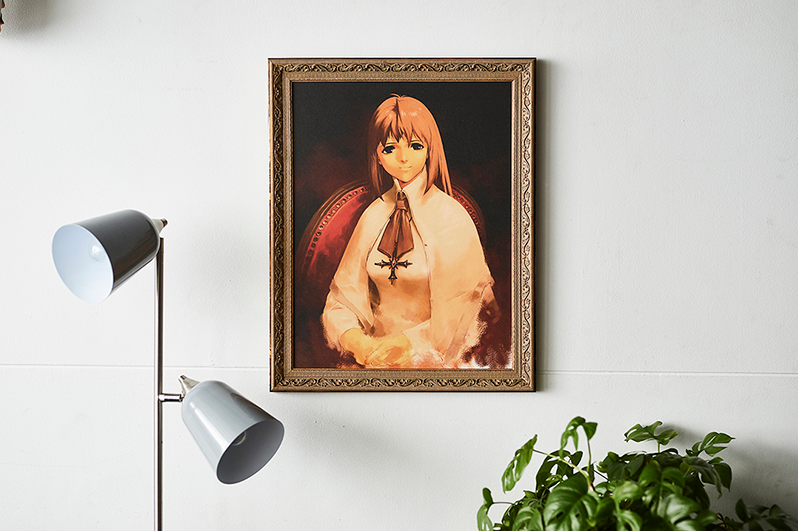 While the portrait of Sophia looked impressive in Xenogears, it might look even better on your wall. According to Hachima, Square Enix is selling a high-quality replica version of the painting in a fancy frame based on the original game data. Priced at 39,800 yen ($361), the portrait is to celebrate the game’s 20th anniversary and is available through Square Enix’s Japanese eshop. Square Enix calls this a premium item and points out that the first round of prints is signed and numbered on the back by Xenogears character designer Kunihiko Tanaka.